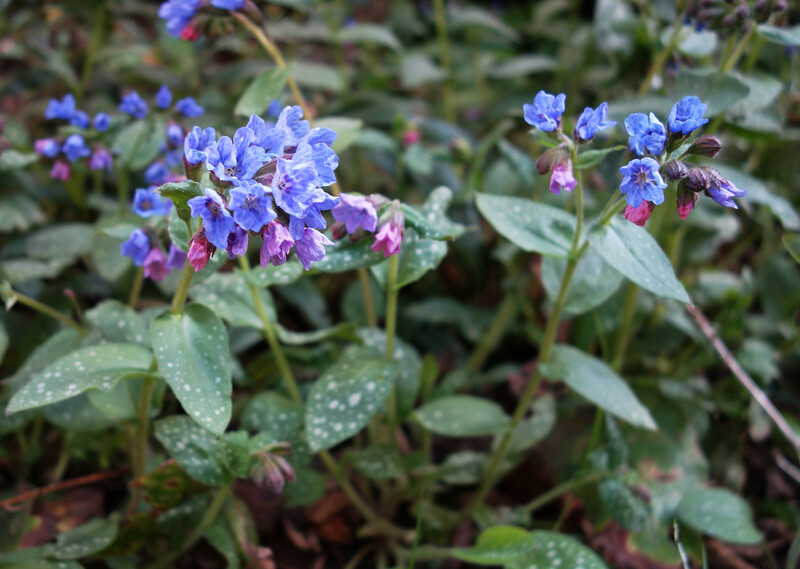 Perennial herb, up to 30cm high, native to Europe; leaves ovate-cordate, hispid, mostly white-spotted, long petioled; flowers changing color from red to blue as they mature. The leaves (Pulmonariae herba) were mainly used in folk medicine as expectorant, sometimes in cases of ailments of the gastrointestinal and urinary tract. Total phenols in herbal tea of P.officinalis were very high at 673 µM QE (quercetin equivalents). Determination of antioxidant properties by the Trolox equivalent assay showed a value 0f 2.02 mM for the tea (with TEAC values of Ilex paraguariensis 3.5, Camellia sinensis black tea 3.9, green tea 5.9). P.officinalis contains 13-15% mineral substances, therof silicic acid up to 2.5%; catecholtannins up to 4%, gallotannins up to 2%; flavonoids (O-glycosides of kaempferol and quercetin); and mucilage forming fructanes and polysaccharides.